​Kinosaki is a small hot spring town located in the northern part of Hyogo Prefecture on the coast of the Sea of Japan. Nestled in a valley surrounded by mountains and sea, this traditional old town is filled with the history and culture of old Japan. The picturesque town with its classic architecture and willow-lined river is famous for its resort area featuring natural hot springs. 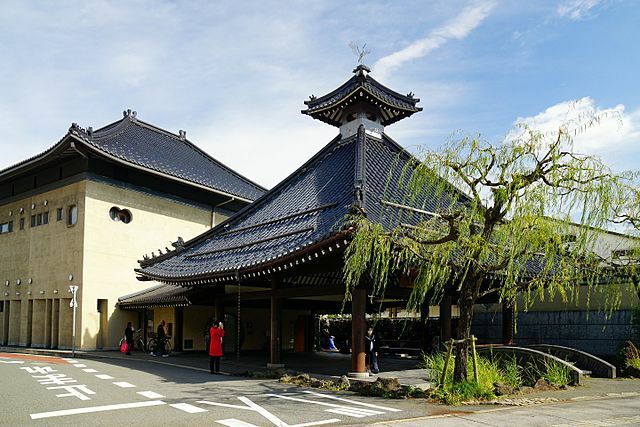 The hot springs were discovered in the area around the 8th century with the town developing around it, and has been a well-known Onsen destination ever since. Legend has it that the locals found white storks "the symbol of the region" bathing in the marshes of Kinosaki to heal their wounds. The town’s famous bath houses were built over these very sites to take advantage of the therapeutic healing properties of the spring water. Nowadays there are numerous ryokan in the area; all with their own baths, but the real draw to Kinosaki are its seven public bath houses "sotoyu". 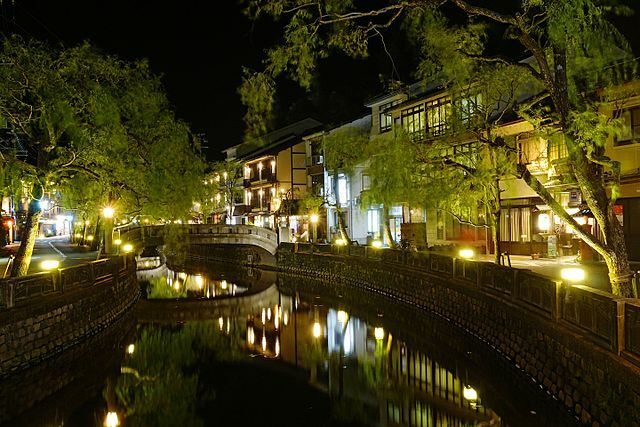 The charming old-fashioned Onsen town is a pleasure to stroll around in the evenings in your Yukata "summer kimono", and Geta "wooden clogs" visiting Onsen hopping from hot spring to hot spring. ​This popular activity is called Sotoyu Meguri "bath stroll", which involves sampling the various public baths on foot around the town. A stay overnight in a ryokan will give you a free pass "Yumepa Ticket", to all seven public hot springs. The Yumepa is a digital ticket, which you can receive from the ryokan and is free to use between check-in and check-out. With Yumepa, there is no need to carry around cash or complimentary entrance tickets, as it can also be used for payment at member stores, restaurants, and attractions throughout Kinosaki. There are also several Ashiyu "foot bath" dotted around the town with running hot spring water, where you can sit by the edge of the road and relax while soaking your tired feet from all the walking. Another feature is the fountains in the square where mesh bags of eggs can be immersed and boiled while you wait. There are some spring water drinking fountains here and there as well. If you have time on your hands, there are number of attractions besides bathing. In the center of town is the Bungeikan, a museum devoted to Kinosaki's literary influence and a point on a walking tour of literary monuments. The museum is 5 minutes’ walk from Kinosaki Onsen Station. To the north at the foot of the Mount Taishi, the Kinosaki Ropeway departs to an observation deck at the mountain summit. 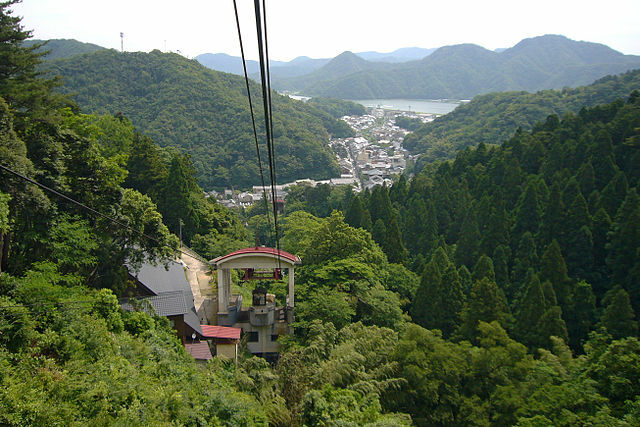 The ropeway and observation deck offer spectacular views of the town below and the Japan Sea coastline. Midway up the ropeway at the intermediate station, is the Kinosaki Onsenji Temple. In the old days, visitors had to first pay a visit to the temple before being admitted to any of the baths in town. 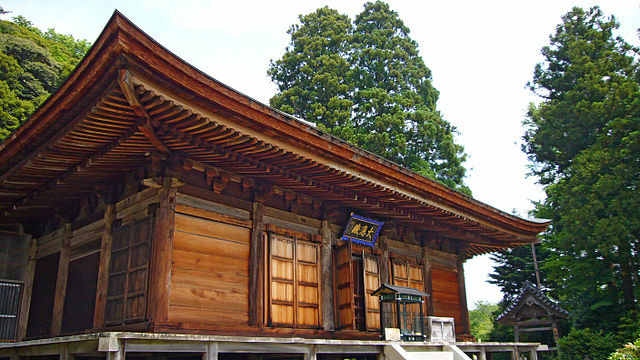 Making the journey to Onsenji is not a must anymore, but the temple remains a nice place to visit. While most of the temple's main buildings are located halfway up the mountain, some additional temple structures including the Sanmon Temple Gate stand at the foot of the mountain, across the road from Kono-yu public bath house, near the Kinosaki Ropeway Station. ​Near the temple gate there is a hiking course leading up to the main temple taking about 20 minutes. 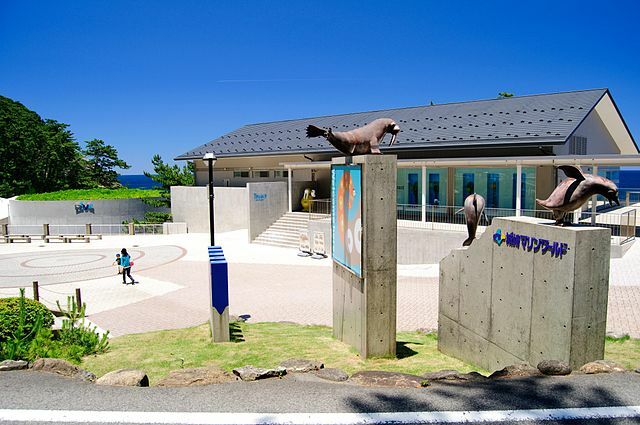 Further away from the town is Kinosaki Marine World which is an aquarium park. It is 10 minutes by local Zentan Bus from Kinosaki Onsen Station. Get off at Hiyoriyama Bus Stop. 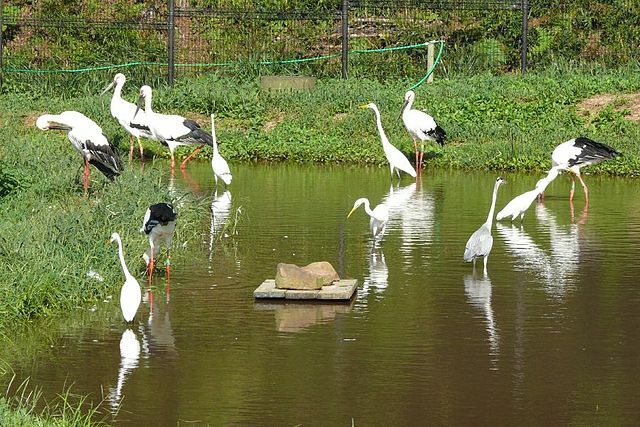 The Konotori no Sato Park is part museum and part breeding habitat, where visitors can learn about the storks, the breeding program and conservation, as well as see the birds on the sanctuary grounds. ​No fee to enter. 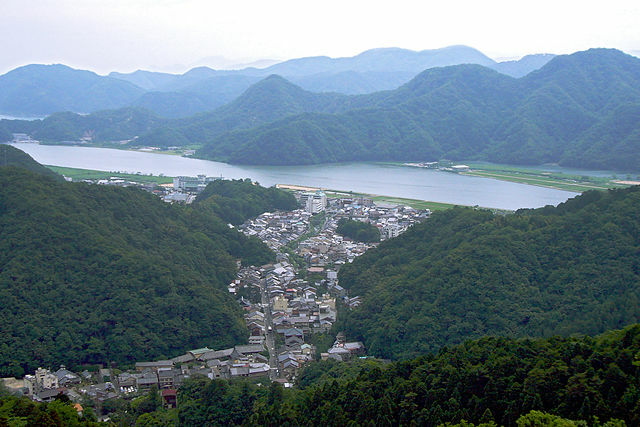 The park is located roughly 4 kilometers east of Toyooka's city center. There is a bus every 90 minutes from Toyooka Station to the park "takes about 15 minutes". It takes about 10 minutes to reach Toyooka Station from Kinosaki Onsen Station. 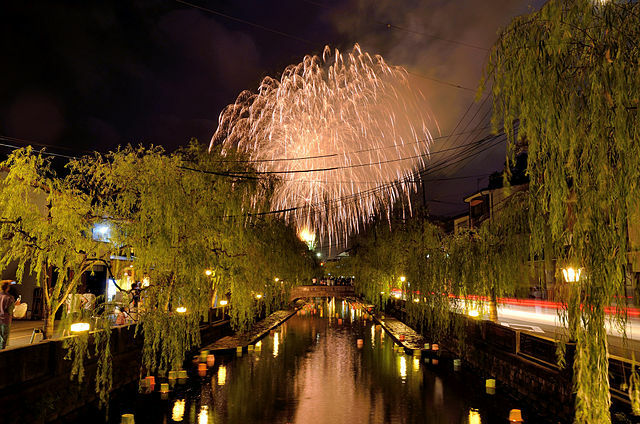 Kinosaki Onsen is a compact town that can be easily explored on foot. In whichever season you visit, you’ll find something beautiful to discover. 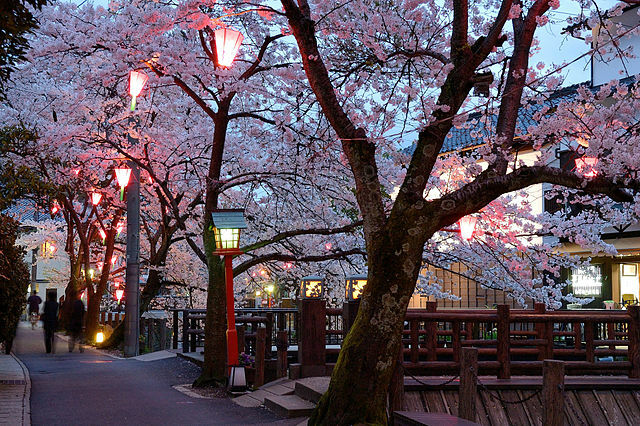 Summer brings with it vivid green willow trees and night festivals, autumn its bright red leaves, winter the fluffy white snow, while in spring you can walk under the branches of soft pink cherry blossoms. From Kobe: Take the Limited Express Train Hamakaze from Kobe Station directly to Kinosaki Onsen Station "takes approximately 2.5 hours". From Osaka: Take the Limited Express Train Konotori from Osaka Station to Kinosaki Onsen Station. A transfer in JR Fukuchiyama Station may be required "takes approximately 2 hours and 45 minutes". From Kyoto: From Kyoto Station take JR Sanin Honsen Line to Kinosaki Onsen Station. ​A transfer in JR Fukuchiyama Station may be required "takes approximately 2.5 hours". 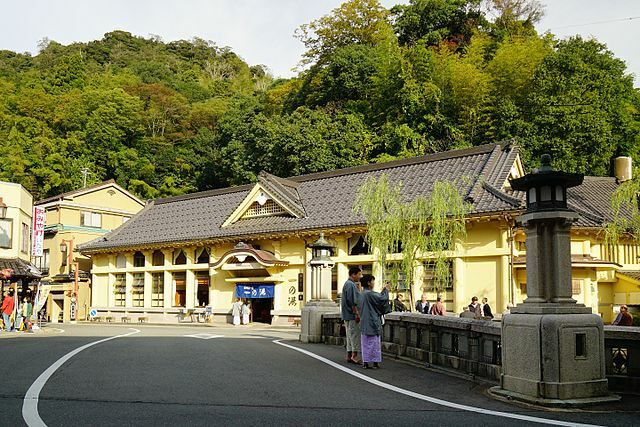 ​From Himeji: Take the Limited Express Train Hamakaze from JR Himeji Station directly to Kinosaki Onsen Station "takes approximately 1 hour 50 minutes". 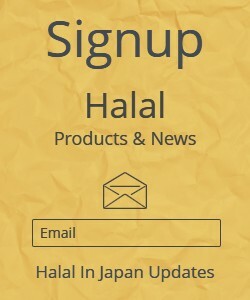 For more information visit Kinosaki Information Center.